Designed specifically for the thermoprinting/fusing of piece goods, Practix OK-450 is well suited for embossing and printing of large cotton swatches rugs, fusing of shirt collars, cuffs, entire shirt fronts, or of any large piece goods, and anywhere high fusing pressure is a must for high product quality. Extremely simple operation, minimum physical effort, and high productivity are the result of air operated heated head movement and two workstations. There is no need to slide trays back and forth! One working surface is available for loading while the other is pressing. 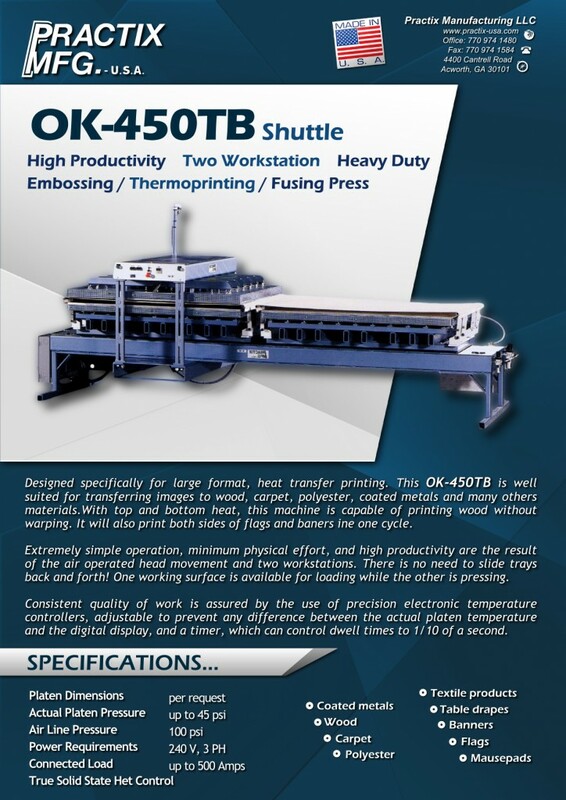 A precision electronic temperature controller, adjustable to prevent any difference between actual platen temperature and the digital display, and a timer, which can control duty cycles 1/10th of a second in duration, assure consistent quality of work. All of our equipment is customizable to suit your specific size and color requirements. 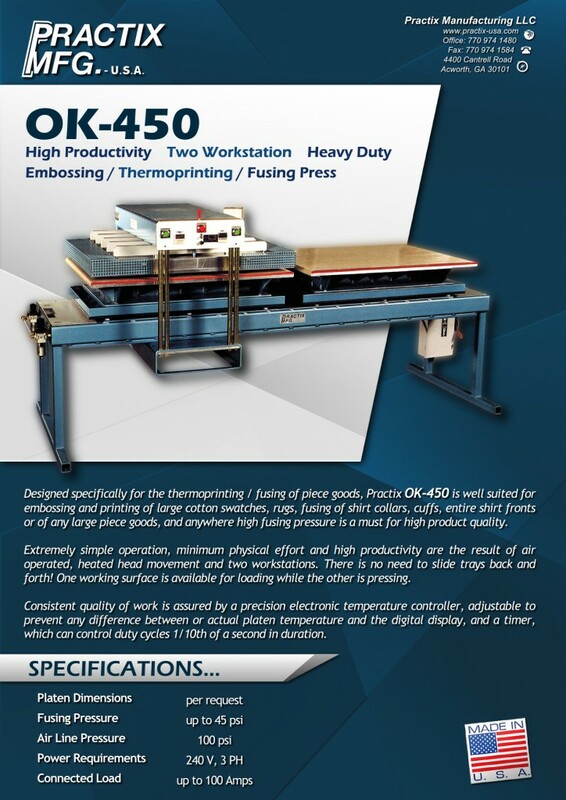 Practix backs up all of its heat transfer equipment, including dye sublimation, laminating, and embossing machines, with one-year mechanical and six-month electrical warranties.